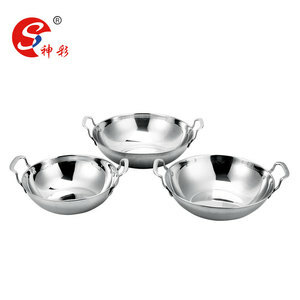 3pcs curry bowl balti dish serving table dish handle 9"10"10"
Our splendid collection of stainless steel cooking ware and dinner sets comprises stockpot, stainless steel casseroles, stainless steel saucepans, stainless steel fry pans, and other stainless steel kitchen cookware and cooking utensils. 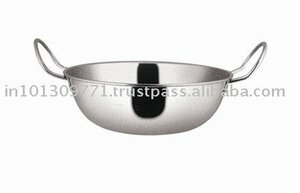 Stainless Steel Copper Bottom Utensil Description: A wide range of stainless steel copper bottom utensils comprising stainless steel casserole set, which characterize two uplifted handles and are available with dome and regular lids having easy to grip knob. 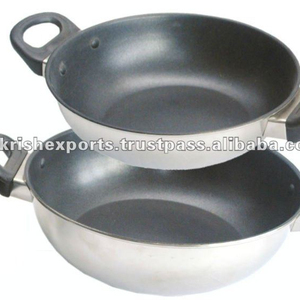 Stainless Steel Dutch oven Description: Stainless steel Dutch ovens with SS/Bakelite handles and close-fitting lids are excellent for cooking large quantities of food. Fujian Helin Household Goods Co., Ltd. In the future too, Krish will continue to build high-quality products for families and professionals all over the world. The timeless product, manufactured using the very best raw material, continues to gain value over the years. The handles are made from cast stainless steel or cast iron, and reinforce the pure and modern design of this range. We take this opportunity to introduce ourselves as solution provider to your problems. We are Manufacturers & Exporters of wide range of Stainless Steel products (more than 4500 products) mainly used in Food Service Industry viz. Bar Accessories, Restaurant supplies, Kitchenware, Fabricated products, House ware, Wire products, Bake ware, Aluminum products, Bathroom Accessories, Office Accessories etc. 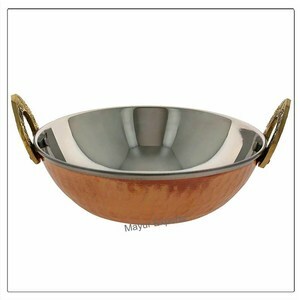 Alibaba.com offers 209 balti dish products. About 15% of these are cookware sets, 11% are dishes & plates, and 5% are utensils. A wide variety of balti dish options are available to you, such as fda, lfgb, and ce / eu. You can also choose from metal, plastic, and glass. As well as from eco-friendly, disposable, and stocked. 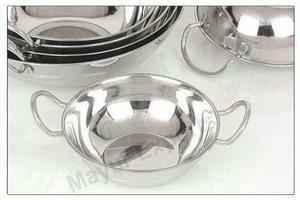 And whether balti dish is stainless steel, aluminum, or cast iron. 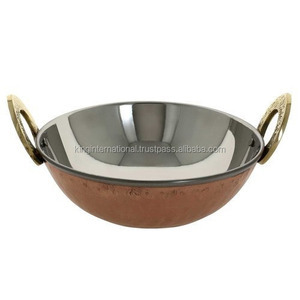 There are 125 balti dish suppliers, mainly located in Asia. The top supplying countries are India, China (Mainland), and United States, which supply 65%, 32%, and 1% of balti dish respectively. 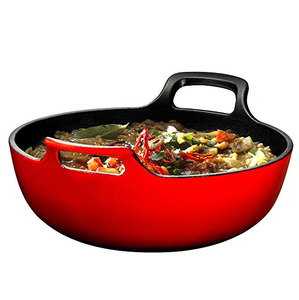 Balti dish products are most popular in North America, Northern Europe, and Western Europe. You can ensure product safety by selecting from certified suppliers, including 67 with Other, 46 with ISO9001, and 4 with BSCI certification.